I’ve never heard anything sound quite like this record by local poet and pianist Ami Hanna. There are moments of this scattered effort that are listenable as more conventional music, but the majority sounds like homework assignment poems read over amateur beats. What’s great is how much effort, personality, and emotion are present in the songs. Though she uses both the classic Mario theme and that loopy bassline from Lou Reed’s “Walk on the Wild Side” that A Tribe Called Quest sampled 20 years ago, some of the other beats aren’t bad, their greatest strength being the piano parts played by Hanna. If the rhythm weren’t so thrown off by the slam poetry vocals, it would be half danceable. It’s sometimes reminiscent of Digable Planets or Saul Williams, but not often enough to feel like MCing instead of spoken word. 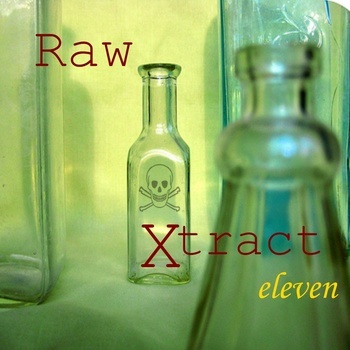 I imagine seeing Raw Xtract live is more akin to a poetry reading than a live band.